A bathroom won’t be complete without containers and storage for soap, shampoo and others. Some homeowners would be contended with merely having these items in their original bottles but it would surely look a lot more fashionable if these are placed inside uniform containers. These are what we call bathroom accessories set. It usually includes a brush holder, soap dish, lotion dispenser, shampoo dispenser, trash can and tissue holder. 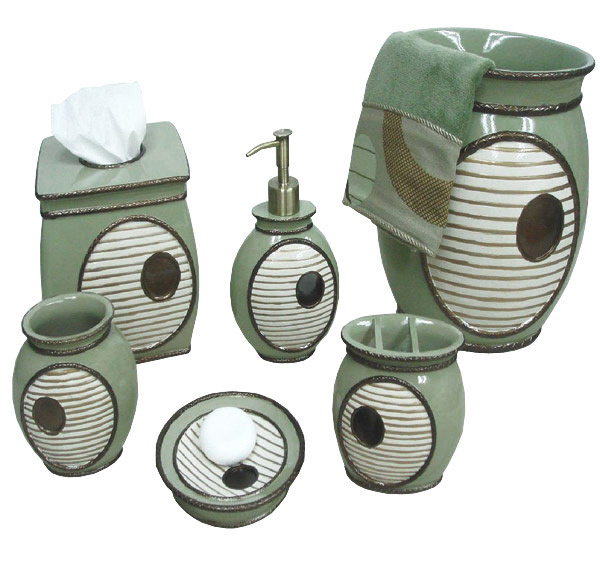 Bathroom accessory sets come in range of styles and designs. Whether you are just getting ready for a night out or taking a soothing bath, having a well-appointed bathroom will turn it into a place that you’ll love to linger in. 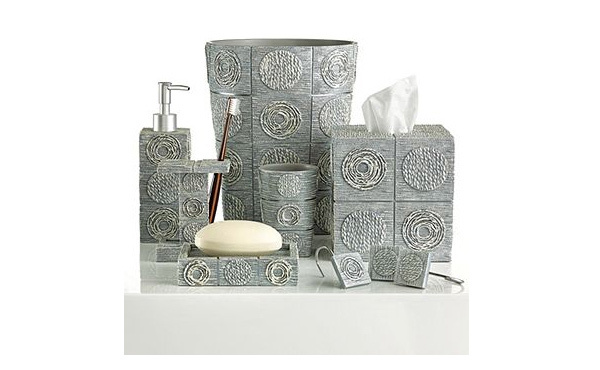 Create the bathroom look you want by simply adding these bath accessory sets into it. 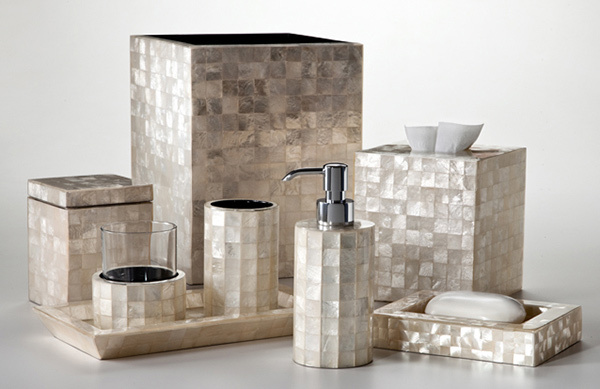 For today, we will give you a list of different modern bathroom accessories sets. Scroll down and take a look at what we have gathered for you. 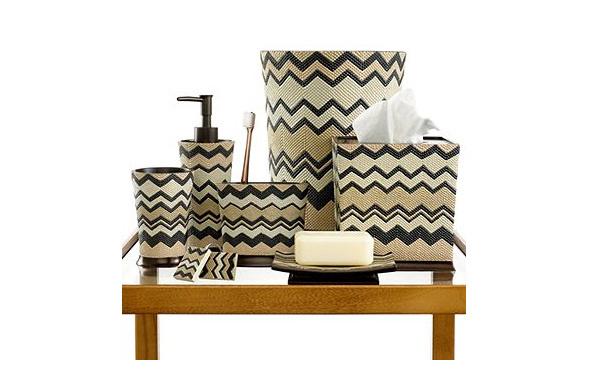 Playful zigzag motif in warm tones of ivory, beige and black for this bath accessories set. 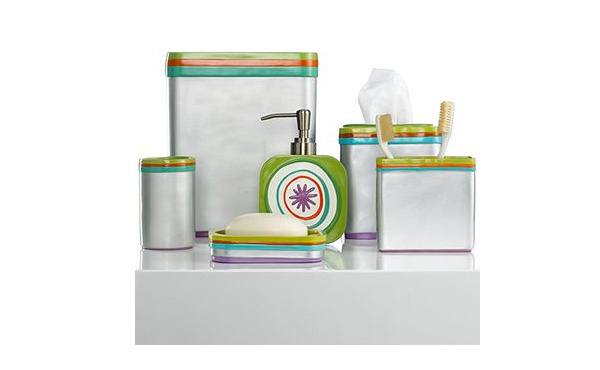 Stainless steel bath set with bright stripe is a lovely accent to your bathroom. Intricate planetary shapes in mettalic hues would bring in a different touch of creativity and glamour. 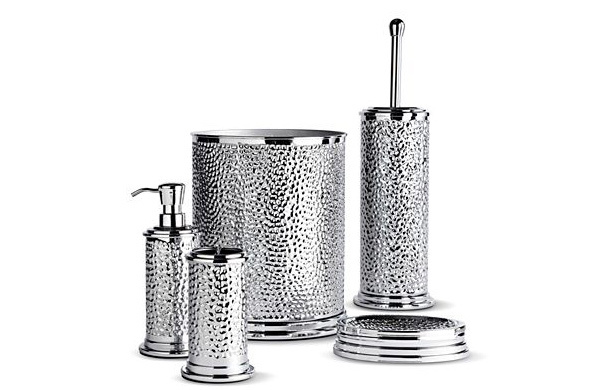 Make your bathroom shine with these set of metal accessories! These are shiny, sleek and very stylish! 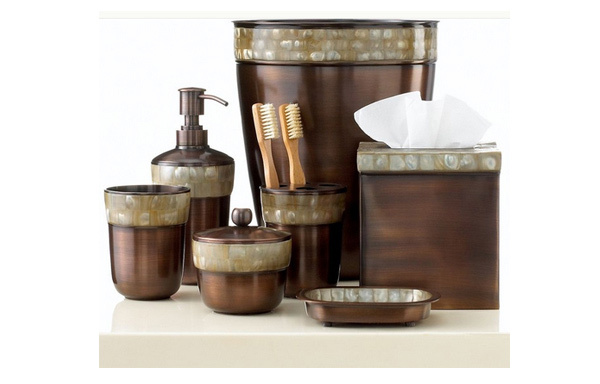 Do a bathroom makeover with this set of antique copper finish. This would give you a modern accent with a classic charm. 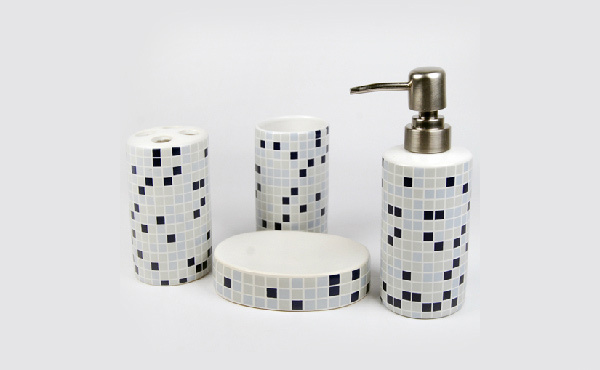 Aside from its function, this set will be a good decoration for your bathroom. Its mosaic design is indeed stunnning! 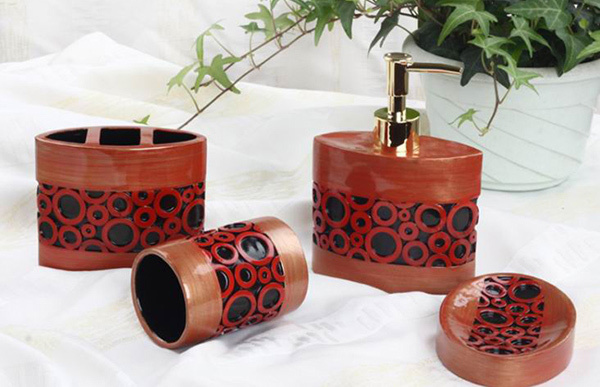 Cicular decors on brownish red could be the perfect choice for a modern bathroom. If green is your motif, then this modern set with circular designs and stripes will fit your taste. 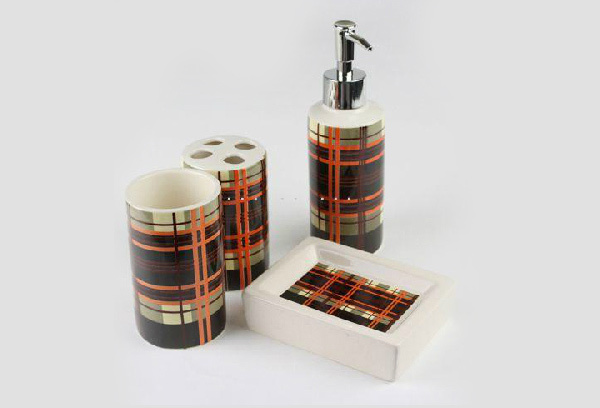 This plaid bath set would serve as a decoration with its bold lovely colors. 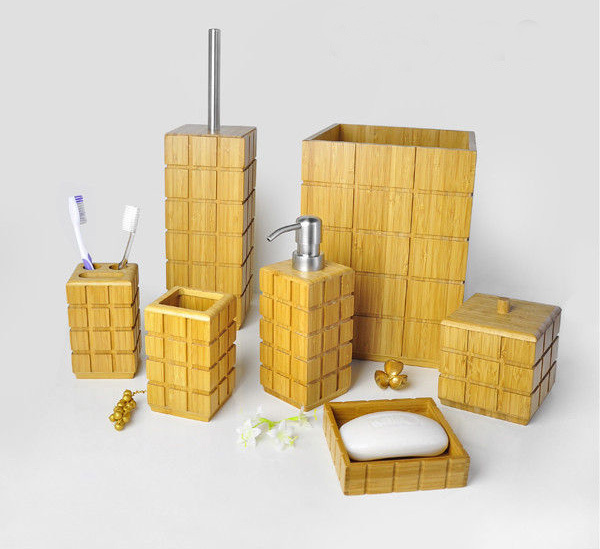 Simple and masculine modern bathroom sets made from bamboo. Having this in your bathroom will bring in a touch of nature in it. 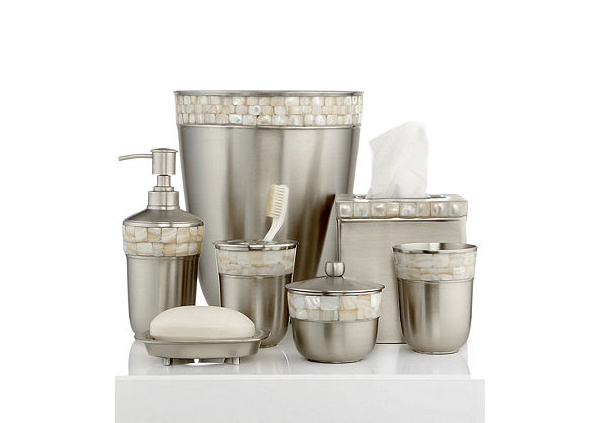 This set can give your bathroom timeless sophistication with its shimmering pearly trim. Shells cover up this piece including a wide range of shimmering white, oyster and ivory tones. This could be another modern addition with natural touch of Capiz shells. Dramatic flame graining that is totally natural is the best feature of this set made from Fernwood veneers. Sleek lines in white- this is indeed modern in design and would complement with your modern bathroom interior. Sparkly beveled mirror with assorted clear and smoky cyrstals wrap up to complete a glamorous and sophisticated bath accesory set. 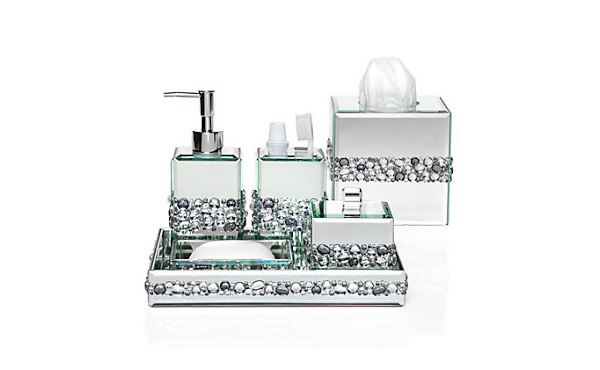 With these bathroom accessory sets, you will never go out of trend! 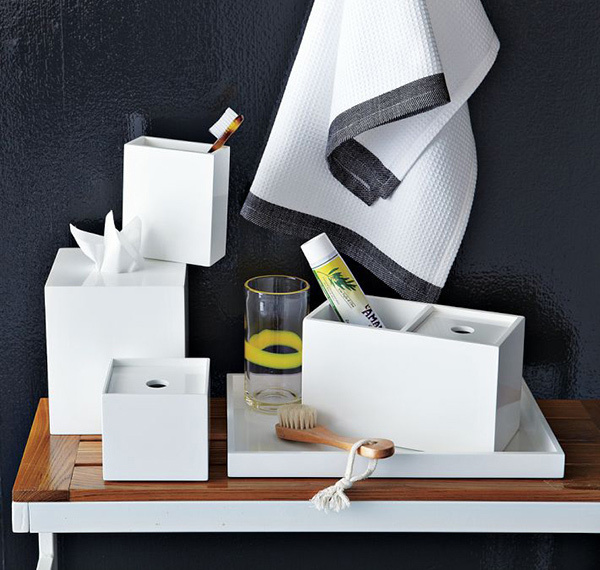 You can also do a bathroom makeover by adding these cute items into it. This can no doubt enhance the look of your bathroom and would add into its relaxing aura. Aside from bathroom accessory sets of containers and storages, you can also place some bright colored shower curtains into them. Well, you can actually look for more shower curtain designs as well as bath sets here if you want to. Wow! 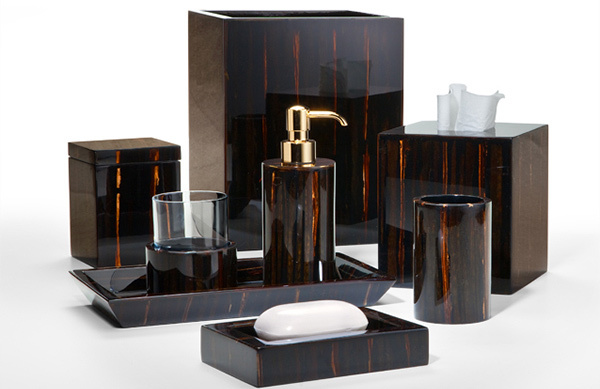 these are some awesome bathroom sets that can genuinely enhance the beauty of a bathroom. All of these are looking so elegant and trendy. I would love to keep such kind of accessories in my bathroom.